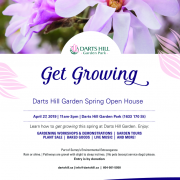 Darts Hill Garden Park Spring Open House is on April 27th from 11am-3pm. Learn how to get growing this spring at Darts Hill Garden Park. Enjoy gardening workshops and demonstrations, garden tours, plant sale, baked goods, live music and more! 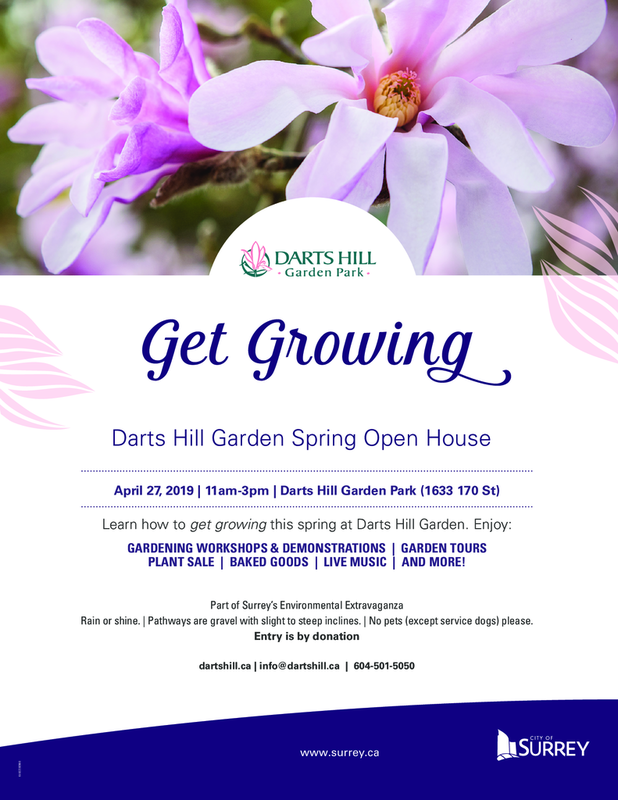 Darts Hill Garden Park Spring Open House is part of Surrey’s Environmental Extravaganza.